Traqua is the latest innovation in wet area rubber surfacing specifically designed for poolside, patios, splash parks and water parks or wherever a wet/dry outdoor protective surface is required. 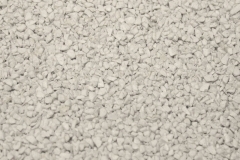 Traqua is an intricate, close knit network of small EPDM granules that form a durable, less porous surface than conventional rubber wet pour and is applied directly onto prepared concrete sub-bases. Traqua can be applied in a thinner 10mm layer as opposed to the usual 15mm or 20mm playground surfaces, reducing cost while still retaining an impact absorbing, non-slip surface. Traqua is available in several light pastel colours which enables the surface area to remain at its lowest temperature possible to accommodate bare feet and gives a bright, attractive, modern finish. A specially developed range of bright UV resistant candy colours for features and cut-ins are also available.